A FULL-size conceptual model of a double-deck, high-speed train carriage able to operate on both the UK conventional network and high-speed lines was displayed at Innotrans in Berlin. The upper deck of the carriage, which some may find claustrophobic. 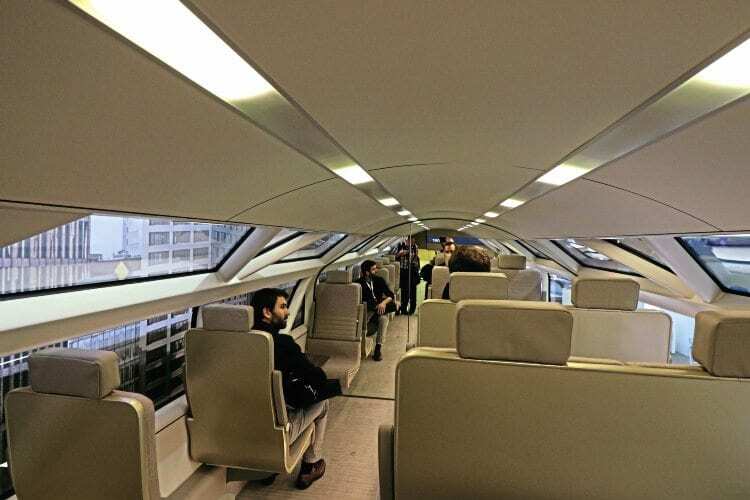 RSSB-sponsored competition to design a double-deck coach for the UK gauge. The detailed design work has been turned into a nine-metre long, 1:1 scale model of part of the coach interior and exterior, made largely from wood; the coaches, as designed, would actually be 17 metres long.